With the Denzel Washington/Mark Wahlberg movie 2 Guns out on DVD & Blu-ray on 9 December, we had a chance to ask a few questions of Steve Grant, author of the the original 2 Guns graphic novel (available from Boom! Studios). 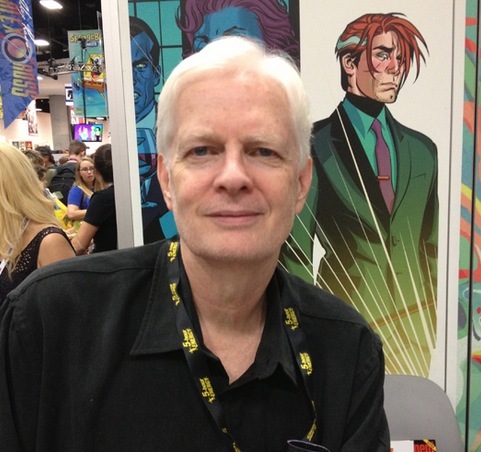 Are there any mainstream (DC/Marvel) characters you’d like to get your hands on which you haven’t worked with yet? Not really. I’ve done so many of them already that the novelty has pretty much worn off. Not that I think nothing can be done with them – I still have a juvenile affection for the John Broome/Gil Kane version of Green Lantern, my favourite comic when I was a kid, and I’d always be tempted to try that character again if the opportunity came up – but my main thrust at the moment is creating original comics for Boom! Other people deserve a chance to try their hand at the old stuff. Which of your, or other comics do you think would make good tv shows rather than movies? A series I did at Dark Horse called Enemy almost was a TV show once, done by David Goyer. The pilot got made for Fox, I was told it was on the schedule for three or four days but I’ve never gotten that verified, and ultimately it didn’t get picked up. I’d say it still has potential, but I would. Whisper might make a good TV series, and given the interest in superheroes some interesting things could be done with Edge, a superhero book Gil Kane and I created for Malibu, in a cable TV format like The Walking Dead or Justified. My Flesh Is Cool, a really strange book I created at Avatar, has been bandied as a TV series, and that may happen yet. Pretty much anything that can be serialized as a monthly comic book can be serialized as a TV series. Virtually any of Ed Brubaker’s comics would make very contemporary TV, and I’ve always wished someone would so something with Matt Howarth’s Those Annoying Post Bros. But the issue really isn’t whether something would work for TV or movies, but the extent to which the people on that side of the aisle are willing to share your vision. I wouldn’t, for instance, want someone to pick up Whisper then try to turn it into an Alias or Buffy The Vampire Slayer knockoff. I got very lucky with 2 Guns, but that kind of luck isn’t all that common in Hollywood. Do you prefer working for smaller indy publishers or the big boys? Both have their faults and virtues. As I said, these days I’m mainly creating new comics like 2 Guns and Deceivers, and that’s just not something The Big Boys have much sympathy for. When you’re a comics freelancer trying to keep the bills paid, it’s rarely your choice who you work with, it’s theirs. Fortunately, I have a decent situation at Boom! where aside from encouragement, I’m as good as left to my own devices to do the books I want the way I want. So right now that’s where my heart is. But we’re all migrant workers. Unless you get lucky enough that you don’t have to take finances into consideration, you try to go where the paychecks are. You had a very popular run on Marvel’s Punisher. Why do you think that character has never seems to cross over to the screen particularly well? The character was almost perfectly suited to deal with things I wanted to talk about, but he’s really too complicated a character for the screen and too simple a character at the same time. He’s all nuance and no depth. Film and TV have a secret mandate to humanize their characters. Done right, there’s nothing in the character to humanize. You can’t plumb his emotional depths. He’s dead emotionally. There are ways to deal with that, but none that are generally considered acceptable by Hollywood. It probably doesn’t help that when it all comes down to dust he’s really a villain, a clinical psychopath in the sense that he’s incapable of an emotional connection to anything. He’s not a homicidal maniac but he is a psychopath, and he feels no compulsion to explain himself. It’s just not something they’re familiar with. 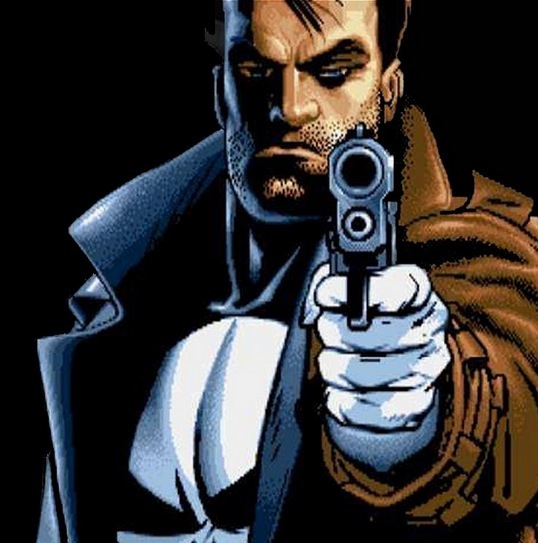 I do think Thomas Jane got the character across in his movie and understood how The Punisher ticks, but no one else connected with the film did.